"Oh, so you're like an astrologer?" I had just informed a youth pastor at an evangelical conference that I was a certified spiritual director, and he, in a disarmingly curious way, linked me with people who look to the stars for mystical guidance and dating advice. In that moment, I realized I had another presentation problem. Let me explain. It seems that I have stumbled into a less-than-dazzling vocation of label resurrection, of breathing life into once-vital terms that have in recent decades, especially in evangelical circles, turned cold and blue. I spent the last three years trying to restore the word "introvert" into the evangelical consciousness as something other than a shy misanthrope who resists community life and sharing the gospel. I even penned a book in which I attempted to correct misunderstandings about introverts and to demonstrate the gifts that introverts bring to their communities. And now it seems that my newest debate with evangelicalism's etymological coroners is over the term spiritual direction. The conversation about introversion and the conversation about spiritual direction have some interesting points of intersection. 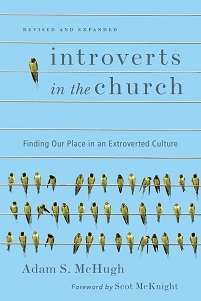 In my book Introverts in the Church, I make the link between the two, saying that while many of our church leadership models are highly extroverted, the practice of spiritual direction may be tailor-made for introverts. Because of that, some of the misunderstandings evangelicals have toward introversion are parallel to their confusions over spiritual direction. 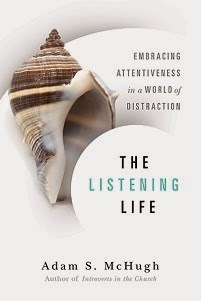 David Benner aptly defines spiritual direction as "a prayer process in which a person seeking help in cultivating a deeper personal relationship with God meets with another for prayer and conversation that is focused on increasing awareness of God in the midst of life experiences and facilitating surrender to God's will." Though a new concept to many evangelicals, spiritual direction is an ancient discipline, practiced in various ways throughout the history of the church. Since its roots are in past centuries, many of its features feel unfamiliar to us. First, spiritual direction is a slow ministry. Few spiritual directors will be described in words like "energetic" and "charismatic." It involves an almost plodding relationship between two people who are utterly devoted to paying attention to the Spirit's movements in one person's ordinary life. One of the attractions of spiritual direction is that it forces believers to slow down, to remove themselves from the frenetic activity of our culture, and to pay attention to what surfaces in the quiet. It requires a patient relationship that examines behaviors, motivations, relationships, and emotions, in the context of an individual's relationship with God and in response to God's presence. Spiritual direction is also a quiet ministry. It centers around deep listening, prayer, and waiting on God. "Direction" is really a misnomer, as it rarely involves one person telling another what to do. It doesn't replace teaching, discipleship, or pastoral counseling, but is for the purpose of helping a person hear and respond to God's voice in his or her life. The director isn't trying to make anything happen or to elicit a particular response in the directee. The role of the director is to ask questions and to listen on multiple levels: to the directee, to God, and to what's happening inside him or herself. It's a ministry that eliminates small talk, except where that small talk relates to God's movements in the mundane, and is sparing of words in general, injecting enough space into conversations to attune people to God's subtle wavelengths. Spiritual direction is also a small ministry. It usually involves a mere two people in an ongoing, developing, deepening relationship. Sometimes it involves a small group of people who seek to listen to God both for themselves and on behalf of the other members. It is not glamorous, and has no production value. It takes place away from the limelight and behind the scenes. Since very few churches offer spiritual direction as a part of their official services, spiritual direction tends to happen outside of the building: in retreat centers and coffee shops, or even email. Most spiritual directors work pro bono or for very modest honoraria. Slow. Quiet. Small. Not exactly evangelical buzzwords. Yet those words describe the practice of spiritual direction -- and also the contexts in which many introverts thrive. We introverts often move a little slower, listen a little more than we speak, and tend toward deeper relationships with fewer people. Over the past few years, as I have become more comfortable with my introverted preferences, I have found myself withdrawing from some aspects of evangelical culture -- especially where it tends toward hyperactivity and an unhealthy restlessness -- and I have discovered a quiet passion for spiritual direction. I have had a spiritual director for five years and I just completed a three-year training program to become a certified director. Of course, extroverts can be excellent spiritual directors as well, but I consider the gifts that many introverts have -- a readiness to listen, a rich interior life, and deep compassion -- to be wonderful assets of spiritual directors. I am grateful that evangelicals in recent decades have rediscovered the benefits of spiritual disciplines, though it seems that many still conceive of those disciplines as largely individualistic. Spiritual direction combines the cultivation of the interior life with the formation of a partnership with another person who can provide an alternative voice to our own, who can help us pay attention to the Voice that continues to speak, not through the wheeling stars but through his Son and his Word. Hospitality for those would rather stay "in"